Living conveniently at the heart of Quezon City is everybody's dream. Much more if you live at The Studio A Quezon City. This Filinvest offering of a high-rise condominium residential development in a strategic place in the middle of one of the busiest streets in Quezon City is a huge opportunity for a very reliable investment. Studio A is located along Xavierville Ave. corner Esteban Abada St., Loyola Heights, Quezon City, a very busy thoroughfare on this part of the city. This place is a virtual university belt and a highly urbanized zone. Filinvest had just unveiled one of its treasures in the heart of Quezon City. This condo project is situated in a flood-free prime land and boasts of amenities unequal by any other development in the area. This nature-inspired and resort-themed community makes living livelier and more exciting. Your family will experience the thrill and joy of great urban living while the quiet and pristine environment nurtures responsible beings through clean living. This is a community where your utmost privacy, maximum relaxation and total entertainment are possible without even bothering to travel afar. This resident is comprised of a single tower with 34 residential floors. There are 579 total residential units on stake, one of the lowest densities among similar projects this part of the city. Eight (8) of those units are dedicated to commercial purposes. Unit sizes range from 21 to 46sqm of floor area comprising of Studio, 1-BR and 2-BR residential units. There is tiled and finished T&B; complete living, dining and kitchen areas for all units. The units have finished and painted walls and ceilings with provision for balcony for selected units. The amenities and facilities are superb, such as fitness gym, indoor study hall, swimming pool, nursery room, social hub, message boards, additional amenity area on the 7th floor, yoga and dance studio, sun deck, pocket gardens, male and female changing rooms and so much more! The site is fully secured 24/7, with service elevators to have easy access on every floor. There is also a study lounge outdoors, with Wi-Fi access to the amenity areas and with weekly housekeeping service at a minimal fee. For your kids' schooling, there are several prestigious schools around the area as it is considered a university belt zone, the likes of Ateneo de Manila University, UP Diliman, Miriam College, St. Theresa's College, Eton International School, Kostka School and the John Gokongwei School of Management, to name a few. Premier hospitals and medical centers are reachable within minutes, such as the St. Luke's Medical Center, Quirino Memorial Medical Center, Dr. Montano Ramos Hospital, Veterans Memorial Medical Center and J.P. Sioson General Hospital, among others. Shopping, entertainment and leisure centers are also numerous within Studio A's immediate vicinity, such as the SM City North Edsa, Robinson's Magnolia, Trinoma, the UP Town Center, Sta. Lucia East Mall and the Gateway Mall, the Camp Aguinaldo Golf and Country Club and the Veterans Golf Club. Every working individual has at least a dream home. While some prefer seeing every drop of their sweat work from the very foundation of a house to its end and furnishing, others just want to avoid the hassle that comes with managing a construction project and instead buy. 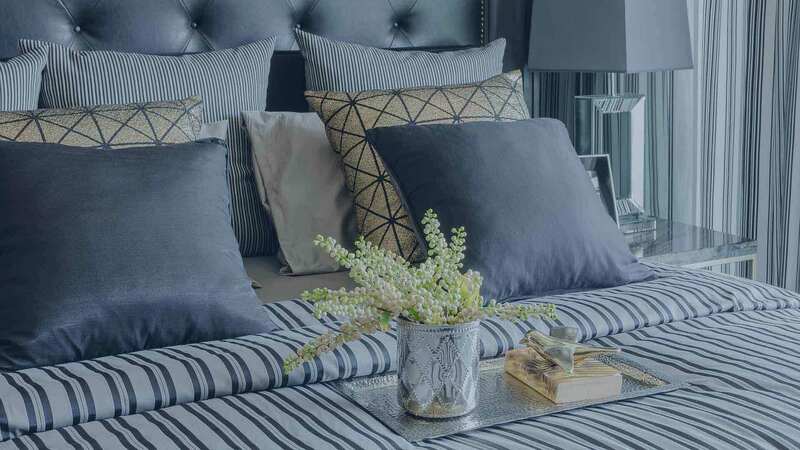 Today, we shed a spotlight on one of the most talked about residential development projects of the current times; Studio A apartments located in Quezon city. The residential is made up of just one condo tower with 579 units in total. Only but 8 of those units are reserved for commercial purposes while the rest are put up for residential purposes. Paying for your apartment at Studio A shouldn’t be stressful as there are different options to choose from depending on our financial ability. Plan 1: Spot cash. If you are able, you can pay for your apartment in one full installment for which you get 11% discount on 95% the total price list. Plan 2: Spot cash in 30 days from the date of reservation with 8% discount on 95% of the total price list. Plan 3: Deferred cash 100% payable over 48 months from the date of reservation with 5% discount on the total price list. Plan 4: 50/50 with 3% discount on 50% of total price list. 50% down payment payable over 48 months from the date of reservation and the remaining 50% payable through in house or bank financing. Plan 5: 20/80 where 20% down payment is payable over 48 months and the remainder through in house or bank financing. No discount in this case. Plan 6: 10/90 where 10% down payment is payable over 48 months from date of reservation and the balance payable through bank or in house financing. Also no discount in this case. Nursery Room- Almost every developer is mindful of your children’s welfare and comfort as much as they are mindful of yours but a nursery room is a whole new idea. Lactating mums can find comfort amidst each other and even share on one or two things and get to bond. Message Boards- As a resident at Studio A, you get to enjoy message boards similar to an exclusive mail system where the hassles of post office is taken care of and you get to have your mails delivered and picked right within. Fitness Center- A fitness center is something most people look forward to and Studio A got it just right complete with a gym, spa and sauna to cater for different needs of men and women alike. Yoga Studio- The yoga studio at Studio A comes complete with dance features and lovers of the same get to have a unique experience with professional and experienced instructors. Swimming Pool- The swimming pool comes in two categories, adult and children’s pool so as you go to have fun, and your children are included in the merry moments as you take a dip away from the day’s hard work. A sun deck is also fitted to compliment the swimming pool in a unique simulation of beach experience. Library- Book lovers and students get the relief of an indoor library and study hall with reliable internet facilities made available through wireless fidelity and fiber optic cables which also serve telephone purposes. Social Hub- On the 7th floor, you get to enjoy a secluded amenity area complete with a social hub where you can interact with other residents as well as the rest of the world at free will. Security- Your security and that of your property is well taken care of. The premises is monitored by a 24 hour close circuit television with trained security officers always on standby backed up by assigned law enforcement officers. Parking is automated and runs on radio frequency identification with the user’s data accessible remotely for better observance. Access to the building is limited to key cards as to keep only the necessary human traffic within the establishment. At Studio A, you are never at any time too far away from where you need to be. Located on the busy streets of Quezon, the central business district is just a stone throw away and with it comes virtually every function necessary for a complete life. School for you and your children should not be trouble as the area is a gazetted university belt zone with prestigious educational institutions to its name. The likes of Ateneo de Manila University, Eton International School among many other big names all call Quezon home. Hospitals and medical centers of good stature are just as far as you would wish them to be. The St Luke’s Medical Centre, Dr Montano Ramos Hospital, Veterans Memorial Medical Centre among many others is reachable within minutes from home, all being state of the art and equipped with modern medical technology and well trained and experiences human resources to serve you to the very best of their capacity. Your shopping is at the pleasure of the numerous mall providers as so are entertainment and leisure. The SM City, the UP Town Centre, Gateway Mall just to name a few are all within vicinity from home. Your banking needs are as well in safe hands of experienced local and international banking institutions worth your trust. 24 hour ATMs across various banks are also within reach in minimum time for your convenience at any time of need. When buying a home at Studio A, you will be carefully attended to by trained personnel and walked through seemingly lengthy and annoying but necessary steps to guarantee the best quality and standards of the property you have purchased as well as reduce significantly the probability of future inconveniences. Upon consultation, an agent will be assigned to you for the rest of the acquisition process. The agent will then take you for an orientation of the property and tour over the site to help you with the needed knowledge to make a lifetime decision. If satisfied and have come to a decision, a reservation is made in your name following which you are documented as a property owner and issued with legal documents as such. Before you move in, your new property is inspected for a clean bill of safety and standards and changes might be made where deemed necessary. Filinvest Studio A in Quezon City, Philippines is a premier Condo project available for sale. If you're looking to rent or purchase Studio A, then check here first. We have full details of Studio A updated regularly as well as everything you need to know about the availing and booking process, broken down into stages that includes selecting a unit, choosing a payment plan and buying your dream home at the right price. For price list, free site tripping or showroom visit, personalized service, model house, unit plans, floor plans, payment terms, CHAT LIVE with an agent 24x7. We are Remax Perfect Homes. Always only buy from PRC licensed Real Estate Brokers and Agents.